In a world where ideas are a dime a dozen and shared openly on social media, it is incumbent upon all of us to critically reflect and determine if it is, in fact, a sound strategy. Anyone who reads my blog knows that I am a huge proponent of research-influenced practice, evidence, accountability, and efficacy. During workshops with administrators and teachers, I get to dive deep into these topics and outline the strategies that schools use to improve outcomes. In my opinion, this isn’t even really a debate for anyone that has worked in a school where outcomes were improved. As any practitioner knows this is not the end or be all, but the reality is that results don’t come from pie in the sky sound bites. Thus, improvement relies on an honest assessment of where current practice resides and making the necessary changes to move to where we need to be. Let’s begin with this. If you are an administrator, do you know what is going on in your classrooms? I for one did not know this for a while until we began to focus on ensuring a Return on Instruction (ROI). It is hard to fix an issue if you don’t know it exists. The same could be said about commending and then sharing effective strategies. We don’t know what we don’t know. Getting into classrooms more can be one of the most important decisions you make. If you are a teacher or coach, how often do you receive formal feedback on your practice and are given time to work on areas to improve upon? 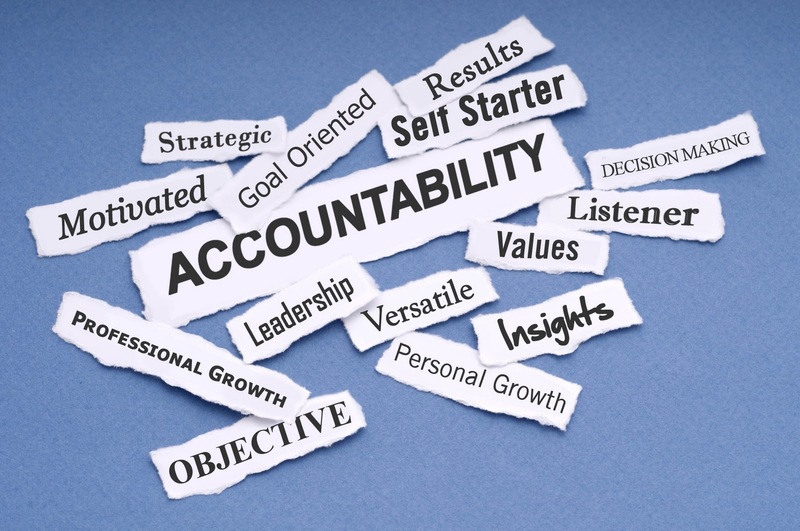 The only way to scale growth is to ensure that accountability structures are in place. Formal observations are one means to help accomplish this. These differ from walk-throughs, as they are evaluative whereas learning walks are most often non-evaluative. The primary purpose of an observation is to help teachers, coaches, administrators, and other staff improve through connections to research-based practices, data analysis, good feedback, and reflection. A good observation is all about growth. They became ineffective when used as an “I gotcha” moment or provide no real strategies to improve. Let me expand on the latter part of the last sentence. There is no perfect lesson, project, teacher, or administrator. Herein lies my crucial point. No matter where an educator is in their career and regardless of experience, there is always room for growth and the majority of educators are more than open to this. Accountability for this has to be emphasized either through self-efficacy or sound observation techniques. Everyone can benefit from good feedback. The question is how do you determine if that feedback has been reflected upon and used to improve practice? Taking a critical lens to your observation protocols can go a long way to ensuring efficacy by raising the bar across your system. Claims of good and better have merit when supported with actual observations and evidence that this is, in fact, the case. This is what instructional leadership is all about. 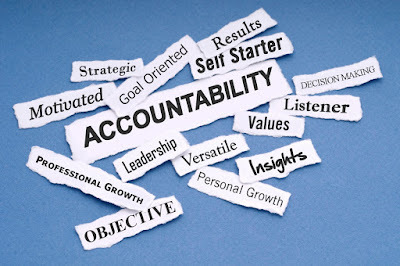 Below are some strategies that I utilized to help create a culture where there was accountability for growth. Please note that not every contact point or conversation has to be evaluative. In the end, though, some people won’t respond to non-evaluative measures. Consistency is key. Get in classrooms more. Regardless of your role, commit to watching the practice of others to inform your own or to provide feedback later. Make it a priority. Develop a daily schedule that consists of a combination of walk-throughs (non-evaluative) and formal observations (evaluative) and stick to it. We formally observed each staff member unannounced three times a year regardless of experience. This meant I had to not only build time into my schedule to conduct the observations but also to write them up. That’s why I always blocked off the following period after an observation so that I could write it up. Streamline the process as best you can. I created a template for myself and my admin team to use during observations. This allowed each of us to script by standard while also ensuring that the most essential sub-standards were front and center. You can view the template HERE. Note that this template was nowhere near as detailed as the actual tool uses, but it did greatly assist with the write-up process afterward. I also curated a document that had comments ready to go aligned to sound pedagogical practice and research where applicable. Provide timely and specific feedback, but also make sure to follow-up with more walks and observations to ensure that the feedback was reflected and acted upon. I made it a point to conduct each observation post-conference the very next school day. Create mechanisms for educators to share work through artifacts and portfolios. You can’t see everything during a walk-through or observation nor can you be everywhere all the time. These can be used to support what you don’t see during observations or to add more context. They can also be integrated as a way to add more substance and authenticity to mid and end of year evaluations. Complacency and mediocrity are a choice for many people. So is choosing to get better each day. The choice is yours. 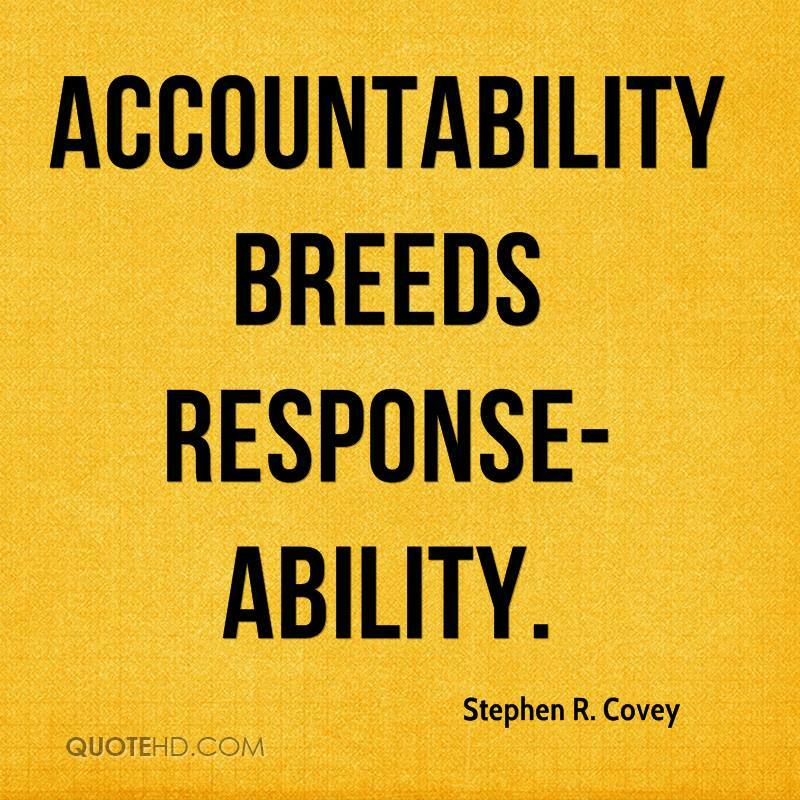 Every educator is ultimately accountable to the learners they serve. Thus, there is no real choice in this matter. 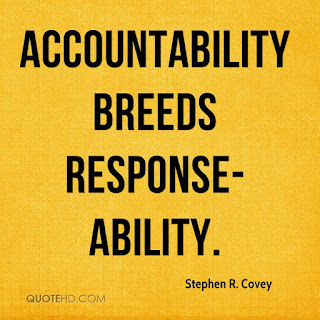 Accountability should not be feared or frowned upon. It is prevalent in virtually every job sector as a means to improve performance. When focused on promoting growth, accountability can help to create a culture of excellence while helping all learners achieve success.